What if the planning system looked after everyone’s interests? Heritage advocates have cause for concern in new proposals for planning regulation put forward by the State Government. The Expert Panel on Planning Reform established by Planning Minister John Rau released its draft report Our Ideas for Reform in August. The report outlines 27 ‘ideas for reform’ across the planning system. A number of those have direct implications for the protection of heritage. Throughout the review process, the National Trust has been actively advocating for stronger heritage protections in any changes to the State’s planning system. We are concerned that many of the proposals put forward in the report will further erode protections for heritage and diminish the rights of individuals and communities to contest planning decisions. The pro-development lobby often seeks to present heritage as an annoying impediment to development and economic prosperity. We argue instead that heritage provides enormous long term economic and social benefits which must be properly assessed against short term gains from developments that diminish or destroy our heritage. Problems in our heritage protection system do impact on planning and development processes. But the solution is not to reduce heritage protection or to subsume it under planning regulations as this report seems to suggest. What is needed is a heritage protection system that is properly funded to achieve the purposes set out in the Heritage Act. Sadly, despite a mass of evidence showing widespread public support for rigorous and reliable protection for our built heritage, the State Government has neglected its responsibilities and allowed our heritage protection system to become seriously run down. In the past decade, funding of the Government’s Heritage Branch has been slashed, heritage advisory services for owners of heritage buildings have ceased and the State Heritage Fund grant program has been discontinued. The current bias to development at any cost, riding roughshod over objections and pushing local councils and communities out of decision making processes sets the scene for further and greater threats to heritage conservation and to public participation in planning processes. Perhaps a better balance could be struck between heritage and development if all new developments were obliged to contribute to a heritage protection fund to ensure that our heritage is properly maintained for the future. The National Trust welcomes debate on how to make the heritage protection system more efficient and effective. But that debate must proceed from a commitment to strengthening existing protections and removing the power of ministers to make arbitrary decisions to block or override heritage protection. You can download the National Trust submission on Expert Panel Report 26Sep2014 and its recommendations. 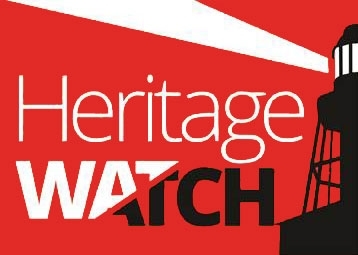 Join us to stop the rot in South Australia’s heritage protection system. Sign up here to get email updates on current heritage issues and campaigns, or join the National Trust.